Last weekend we could finally see some action that involves our favourite club. 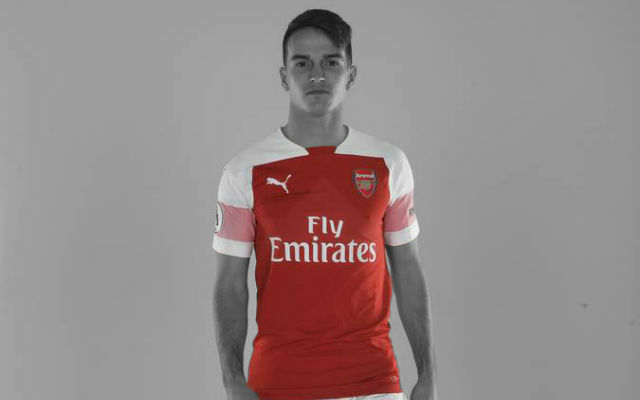 The summer hasn’t offered so much joy for Gooners thus far given that we are yet to make a signing that would make us fall from our chairs, while the Confederations Cup – with all due respect to its participants and some nice football we saw – simply doesn’t generate the same buzz as the World Cup and the Euro Championship’s. After a comfortable 7:0 victory over the Indonesian team, our team flew to Vietnam where they faced the Vietnam XI today. 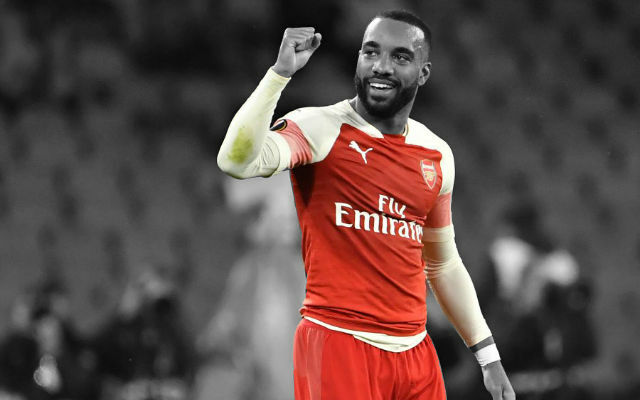 It was the very first match of a Premiership club in Vietnam and a way of further endorsing the Arsenal brand into the biggest continent (and market) in the world. Arsenal went out today with a relatively strong starting 11. Bacary Sagna was given a chance in the central defense, Rosicky occupied the hole, Oxlade-Chamberlain and Podolski were on the flanks in order to support Olivier Giroud who had an encouraging cameo against the Indonesian team that was rounded with a brilliant second goal. The big French striker started the game against the Vietnamese in the same fashion he finished the previous match. After a lovely dink pass from Rosicky, Giroud fired the diagonal shot that hit the elbow of home goalkeeper Duong Hong Son and deflected off the far post into the net. It took only five minutes for the Gunners to score an opener against a better opponent than the first one. Giroud tried to score his second goal only four minutes later but his long range attempt ended wide. It is obvious that Giroud is trying to hit the ball as soon as he finds any space left by the opponents. Gnabry nearly created a second for Podolski, but the German combination didn’t produce a goal as the latter sent his header over the bar. Another combination of the two aforementioned Germans failed to give Gunners a second goal after a wonderful through ball from Gnabry was spoiled with Podolski’s attempt to pass the ball to nobody. Giroud didn’t follow the idea of Podolski but I guess this tour and whole pre-season should prepare our team for those kind of situations. Gnabry and Podolski were creating a lot of problems fir home defense again a bit later – Rosicky and Gnabry combined so Podolski ended with the ball on the left side of the penalty box. He fired a diagonal shot from the similar spot Giroud scored but he hit the post. Gnabry attempted to score the rebound with powerful low shot but Hong Son saved it. The hosts had a chance of sorts five minutes before the break, but Sagna reacted properly to deal with the header in the six-yard-box. And, when we all thought that first half is going to end with a one-goal-margin, Giroud completed his hat-trick in just two minutes. Jenkinson made a cross that was back-heeled out of the box just into the D-area by a home defender. Giroud didn’t hesitate and sent a wonderful curling shot into the right goalkeepers’ corner. On the other side of the pitch, Anh Duc nearly halved our lead but he sent the ball over the bar after a low cross that went through our six-yard-box. 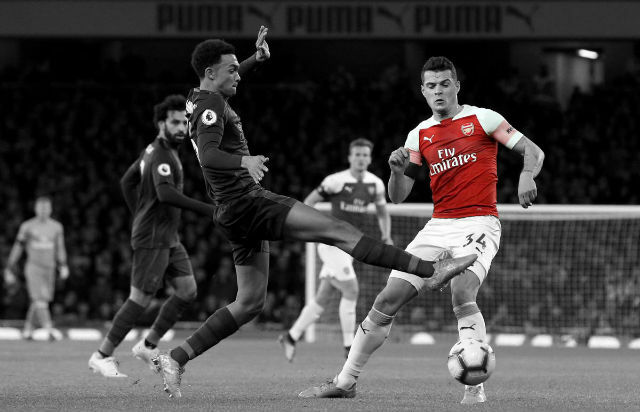 The punishment came very fast – Oxlade-Chamberlain burst through the middle, sent a lovely through ball for on-coming Giroud who chipped it over Hong Son to complete his first hat-trick in Arsenal colours. At the half-time Wenger made seven substitutions. Within a minute after the whistle that announced start of the second half, Arsenal scored the fourth goal of the match. And it was some goal. Ramsey sent a long ball forward to find Walcott who went with it into the box. He returned to make a back-pass to on-going Oxlade-Chamberlain who sent a wonderful curling shot into the far corner of the goal. It was the best goal of the day with Giroud’s second being its closest competition. Akpom could make it five just a few minutes later after another Oxlade-Chamberlain’s burst, but his shot was meek. The young striker redeemed himself after a few minutes though. 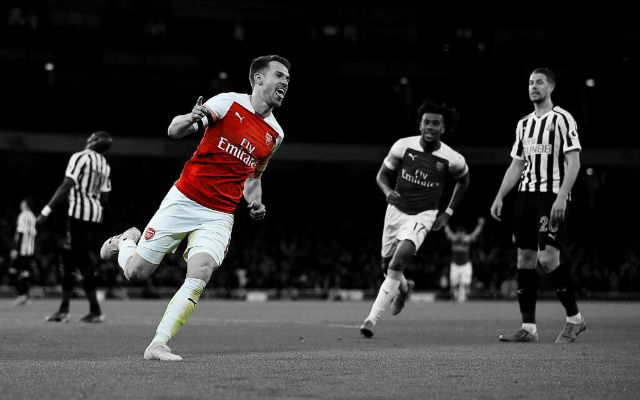 Ramsey made a dink pass to Akpom who placed it into the net from the left side of the penalty box. Another brilliant youngster Zelalem – who was introduced after the break – showed his talent as well by sending a wonderful through ball that was taken by Oxlade-Chamberlain who prepared a simple tap-in for Akpom. Zelalem could have picked up a direct assist and Akpom completing his hat-trick, but a cut-back from Zelalem wasn’t converted by Akpom. Miquel – who played as left full-back after the break – scored the seventh goal of the game after exchange with Eisfeld on the left side of the attack. Vietnamese side didn’t leave the ring without giving a proper punch though. They scored a goal via Tran Mahn Dung and created delirium in the stadium. Wilshere’s counter-attack caused the second goalkeeper, Ngoc, to handle the ball outside the box and got sent off so one player of the hosts had to take over from his goalie. Walcott’s free-kick went over the bar and that was the last chance for goal. All-in-all, it was another exhibition match in which our defense was a bit shaky. 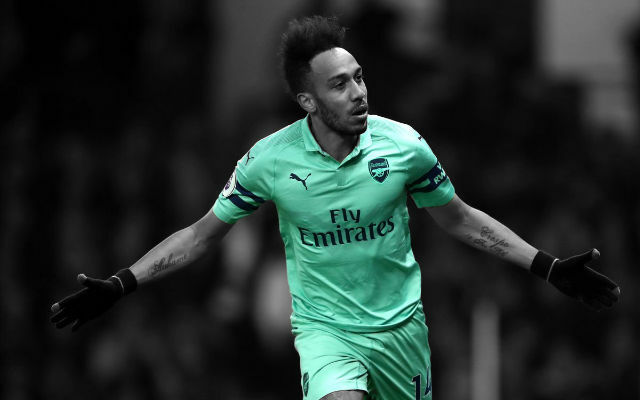 It would be too hard to judge both players and Wenger for mistakes at this stage of the season but let’s hope the mistakes – especially when it comes to defending on the flanks – will be neutralized. Giroud has looked sharp and deadly so far but his goals are important only because of his self-confidence that might have been hit by endless rumours of Arsenal signing a new striker. It was a game played with good pace and a good spirit. For us of course it was a good preparation for the season. Vietnam started very quick, very strong, and the first minutes were for them. But after that on our first chance we scored and we scored some great goals. We played at a good pace and overall it was a very positive night. Vietnam have qualities and I think they suffered a little bit defensively against our pace up front. Overall in midfield I felt Vietnam played very well. The captain [Pham Thanh Luong] impressed me. 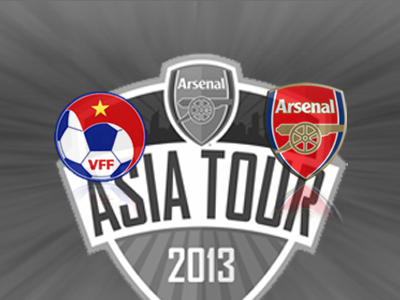 From now on we will watch the results of Vietnam at Arsenal. We made a visit to a pagoda in the city and the fans ran behind the coach. He was the one who refused to give up and ran after the coach. Everybody inside started to cheer him and to reward him we brought him on the coach and congratulated him. That’s how it happened. He was very strong and today he is a star in Vietnam! 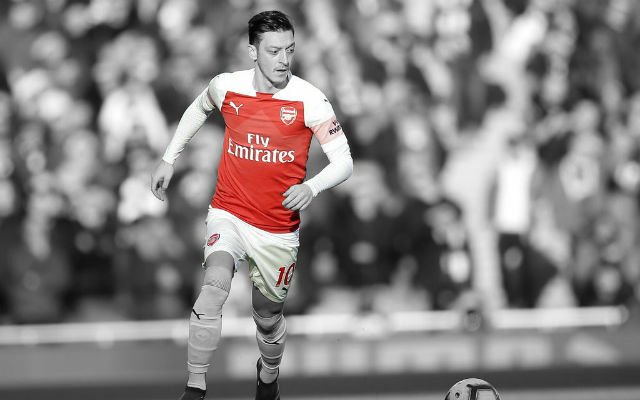 It is very difficult to judge on one game but I believe they have good technique, good mobility and their defence suffered against our quality up front. Overall they have the basic quality and it was great to see the enthusiasm and the happiness when they scored the goal. It was one of the few times in my life that I enjoyed when an opponent scored. It was such a great moment in the stadium and the enthusiasm of the crowd was so big that of course they deserve to be happy. We learned first of all to play at a high pace, because it was a pacy game. We learned to suffer physically because we had two hard sessions yesterday and we practiced today. The conditions, the climate, are difficult for us so we had to learn to suffer a little bit and keep our concentration to keep the level of our game high. I hope so. We want to share the quality of our game with as many fans as possible. We have the feeling here in Vietnam that people enjoy our game and the impression we have is that our club is very loved here. That makes us very happy. What has impressed me is the warm welcome and the attitude of everybody. Everyone here, all our delegations, were very impressed by the welcome. We will certainly try to come back because we had such a positive experience, but I am not the only one to decide on that. Vietnam must want us back as well. The football is always moving forward and football is always improving. What is important in our game today, because it is a world competition, is the speed of improvement. I think the next step, like in Indonesia, is for Vietnam to first come up in the Asian competition and qualify one time for the World Cup. That will of course have a huge impact on the game here. At the moment they have the same basic ingredients that I saw when I was in Japan in 1995 and 1996. They have to develop their players. NB: The full match and match highlights are available to view for FREE on Arsenal Player here.